This TMDHosting Review was revised and updated on Dec 01, 2017. TMDHosting is a US-based company with data centers in Texas, Arizona, two in Illinois. With one in Amsterdam and new data center, located in Singapore for international customers. 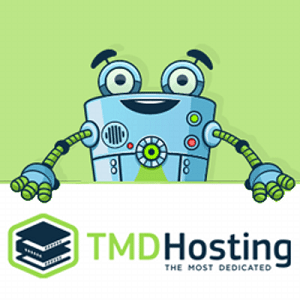 Opened in 2007, TMDHosting is a relatively young company but has grown quickly and attracted a lot of praise from users and reviewers alike. TMDHosting’s shared hosting options are narrow and focus mostly on their ‘Amazing’ and ‘Unlimited’ plans, which they direct most of their new users to. While speaking with TMDHosting customer service, they did specify that they had other hosting plans but continued to return to these two initial plans. The ‘Amazing’ plan and the ‘Unlimited’ plan are very similar in offering. They both offer SSD drive to increase the performance. And speed and TMDHosting’s famous ‘free domain forever’, which guarantees a completely free domain name registration or transfer of an existing domain. They will also cover the costs of renewal as long as the user has a hosting account with them. These plans also include unlimited space, bandwidth, parked domains and subdomains, Free website transfer, and a 60-day money-back guarantee. Of course the more expensive plan at $5.85 USD a month will have a few more perks, such as unlimited hosted websites to the $2.85 a month ‘Amazing’ plan’s 1, and add-on domains are also unlimited, while the cheaper plan gets none. 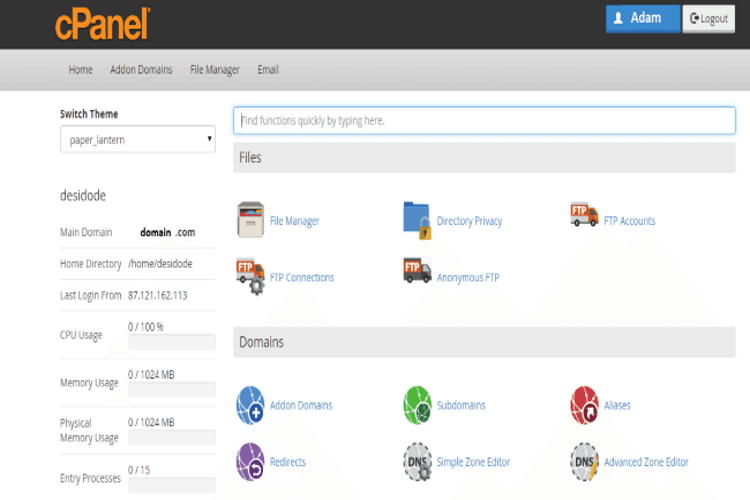 as TMDHosting customers using any popular CMS (WordPress, Drupal etc.) you can download free apps, plugin and free templates this will help you more to build your website. Unlike their competitors, TMDHosting’s plans may include features that beginner users may be unfamiliar with or find unnecessary. This is due to the fact that TMDHosting has opted to offer less plans with more features as opposed to several plans with evolving features. We did not see this as an issue, since all the features will come in handy to users as time goes on and TMDHosting’s stellar customer service means that you can request information about any of the plans’ features or usages and expect a quick response. TMDHosting offers relatively cheap pricing for their sturdy plans, though the advertised pricing of $2.85 a month inMotion Hosting $3.95, SiteGrond $3.99, for the ‘Amazing’,plan and $5.85 a month for the ‘Unlimited’ plan are for a three-year subscription, which offers users the best value for money at $102.60 or $210.60, respectively. If you’re only looking to try out their services, you have 60 days to ask for a refund. TMDHosting also offers an uptime guarantee of 99.99% and if your site does go down, you will be given credits towards your next bill. TMDHosting also has military grade security on site to protect their servers and even their shared servers are running on solid state drives, which do a lot for reliability and speed. Another important feature that all data center are fully PCI and HIPPA compliant which is very important for Privacy and Security of data hosting, the users need to discuss the setup with the technical team to assist. TMDHosting taking data security very seriously and have a strict backup schedule across all our platforms (shared, reseller, VPS/Cloud, dedicated) TMDHosting take files/folders snapshots at least once a week, while doing copies of MySQL and other db related content on a daily basis. The process is fully automated, All backup copies are stored on a remote location. Regarding Malware and security, TMDHosting offer Free Spam Protection and has people dedicated to monitoring for any possible security threats or patch releases. In addition, TMDHosting enforcing anti-malware scan policy across entire infrastructure, using automation and software called maldet. It checks all the files of a particular server on a predefined interval of time and in case malware is detected, The security team will immediately getting notified. Offering live web chat. Tickets system and direct telephone access to customer care, TMDHosting tickets respond are initially served within 15 minutes and approximately 15 – 20 minutes after initial response, We reached out to their customer service team to see what they could offer and were met with quick and friendly help, followed up by an email outlining pricing, features and even suggested add-ons depending on the project we were interested in creating. We also try to reached to their customer service by Phone (Sales Team), The phone reply in less than a minute TMDHosting’s customer service associates understand the business model well and can walk new users through set up, installation and usage of any included features or suggested add-ons, such as their TomatoCart online shopping cart. 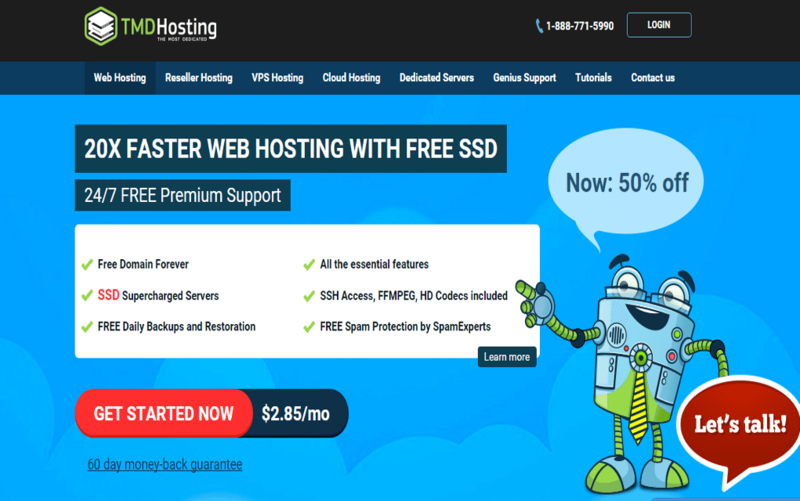 TMDHosting offers higher end features in their plans and several inclusions, such as SSD hard drive free cPanel access to manage your website, unlimited email accounts and webmail access, as well as 99.99% uptime guarantee. 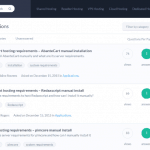 Coupled with this is their solid customer service and ease of access and their competitive pricing structures, making them a good choice for single users or small businesses to get off the ground. TMDHosting offers higher end features in their plans and several inclusions, such as SSD hard drive free cPanel access to manage your website, unlimited email accounts and webmail access.